BJC Health Chatswood is situated on the north-west corner of Help and Railway Streets within the Chatswood central business district, a 15 minute drive north of Sydney. If you are coming from the North Shore, take the Pacific Highway and turn right into Victoria Avenue which continues as Railway St. Buses and Trains come regularly to and from Chatswood Bus and Train Interchange which is a 2 minute walk from the clinic. City Rail North Shore Line: disembark at Chatswood Station, exit left after turnstiles onto Railway St. Walk north towards Help St and we are located on the north-west corner. Rheumatologists also treat a number of rarer rheumatic conditions that can affect other parts of the body including the skin, hair and internal organs. These include “lupus”, myositis, vasculitis and scleroderma. This technique is pain-free, accurate and has very low radiation—even lower than the radiation involved in a Chest Xray. DEXA scanning can be then used to monitor osteoporosis to assess for deterioration or improvement after treatment. 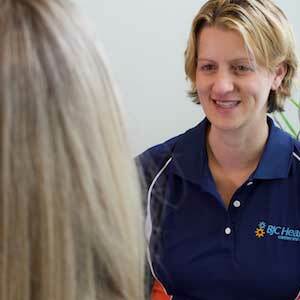 BJC Health staff have diverse experience and specialisations, so whether you are seeking a sports physiotherapist to help you recover from an injury or maximise your performance, or a rehab physio to help you with occupational injuries and stressors, there is an accomplished professional at one of our locations waiting to assist you. We apply cutting-edge analysis and coaching to enhance function and maximise performance. 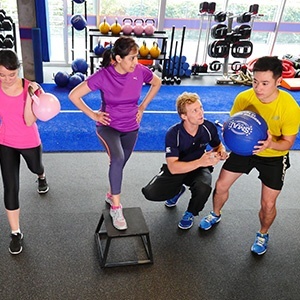 Strength and conditioning is a significant focus and those interested in achieving elite performance can be assisted by one of our therapists who is NSCA-certified. Our qualified dietitians personalise your program to create a positive outcome for you and will coach you through challenges and set-backs. Our massage therapists in Chatswood are trained in the art of massage. Massage is one of the most effective therapies for releasing muscle tension and restoring balance to the musculo-skeletal system.